[S240] 1880 U. S. Census population schedule, unknown cd2. 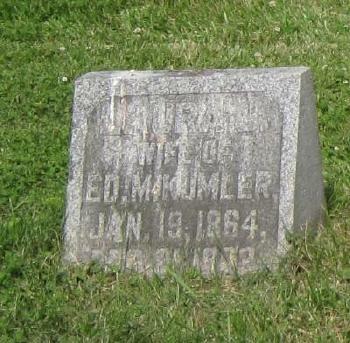 [S240] 1880 U. S. Census population schedule, Ohio, Fairfield County, Liberty Township, ED 202, page 9, dwelling 69, family 75. [S241] 1870 U. S. Census population schedule, Ohio, Fairfield County, Liberty Township, page 43/241, line 33, dwelling 299, family 308, Ohio, Fairfield County. 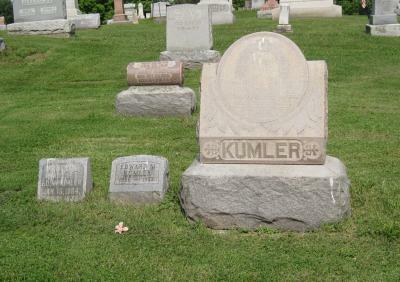 [S2325] Laura J. Kumler and Edward M. Kumler Cemetery Marker, Old Basil Cemetery, Baltimore, Fairfield Co, OH. [S2322] Neal A. Kumler entry, Record of Births, Probate Court, Fairfield County, Ohio Book 3, 1889-1899, Neal A. Kumler.